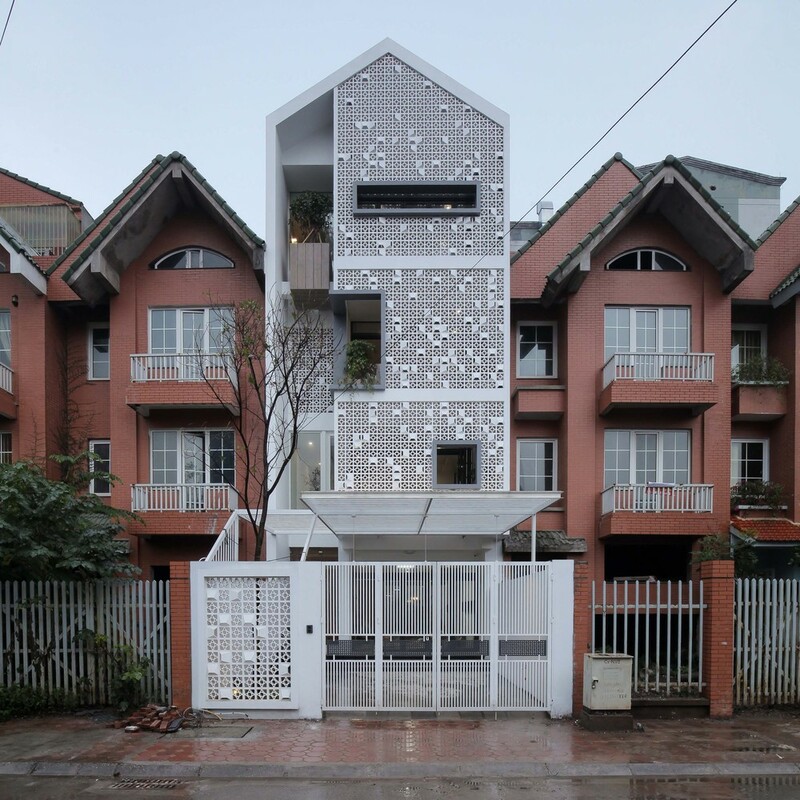 The Cocoon House is a block in a row house in an expensive urban area in Vietnam that became neglected after the country’s economic crisis. 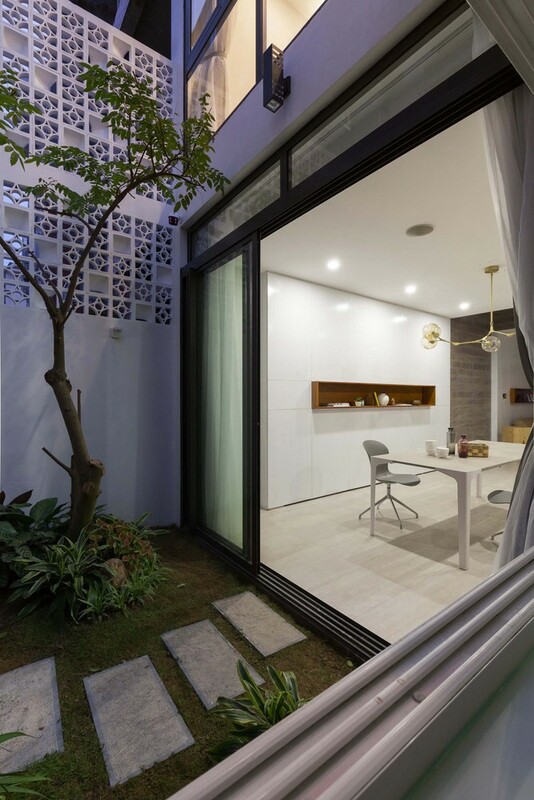 Within regulations, the slope roof is a must when doing renovation, and since the old, existing house structure was clustered and complicated, the architecture firm — Landmark Architecture –decided to add only one floor and one mezzanine. The more prominent features of the home is probably the space at the front and rear of the house, containing a more natural approach with the garden. The design team decided to add a kitchen block in the back while using the roof as the terrace for the second-floor master bedroom. 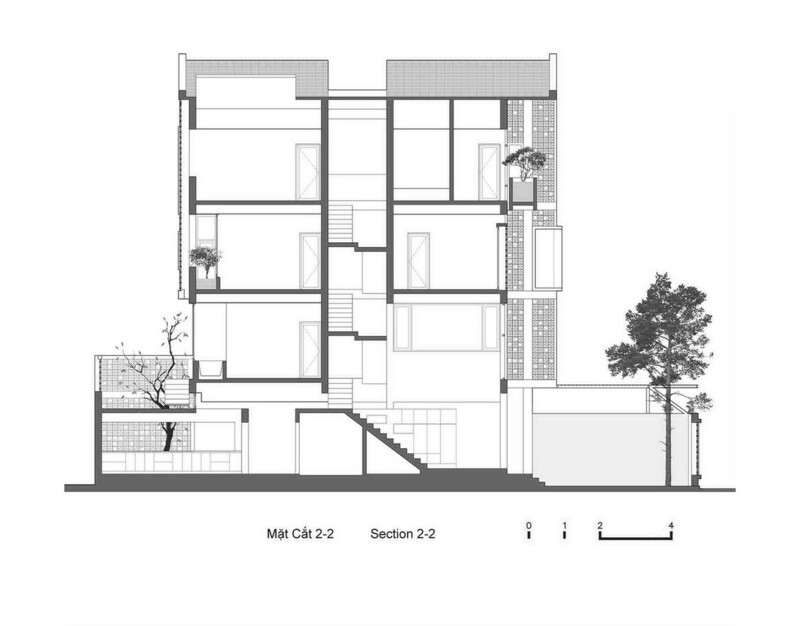 The older, existing balconies at both end of the house were re-skinned with ventilation brick block, which along the inside contained the green space for rain, wind and sunlight to illuminate through. It is this design feature that gives the home its namesake “cocoon,” as there is still access to nature while also having some factor of security.